Our 2010 Honda Accord LX-P Sedan offers an appealing combination of spaciousness and a classy feel. 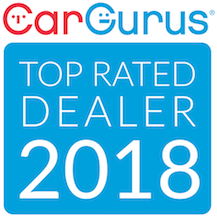 Our Front Wheel Drive Accord has an excellent reputation for reliability, and they drive better than others in the same class! Powered by a a fuel-friendly 2.4 Liter 4 Cylinder paired with a smooth shifting 5 Speed Automatic transmission that offers an impressive 31mpg for your highway driving. Our Accord LX-P sedan is sporty, comfortable, and gives you a great value for an affordable price! Our LX-P features beautiful and comfortable cloth seating, plenty of power features, AM/FM radio, a CD/MP3 player, steering wheel mounted audio and cruise control and lots of room for you and up to four passengers. Honda offers an ACE body structure, a tire pressure monitoring system, and a fleet of airbags keep you and your precious cargo safe from harm each and every time you get behind the wheel. This Accord is a great all-around car of choice for anyone shopping this class. Drive it for yourself, and you'll quickly understand why! Print this page and call us Now... We Know You Will Enjoy Your Test Drive Towards Ownership!